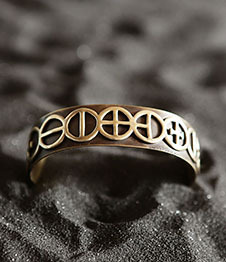 This hand-made ring, depicting the legendary “Golden Chain of Homer”, is for those who are seeking to “climb the ladder” all the way to the “realms of the gods”, to gain the widest possible perspective of Reality between the “Above” and the “Below”. 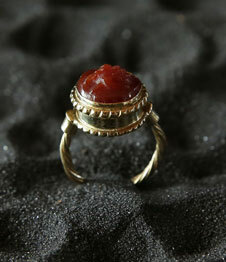 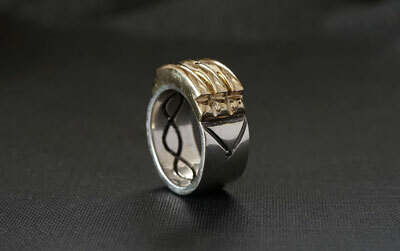 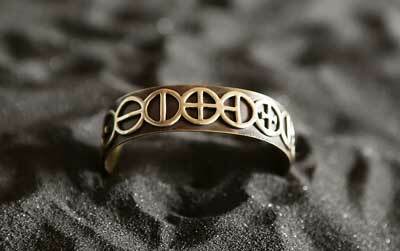 This hand-made ring, depicting the legendary “Golden Chain of Homer”. 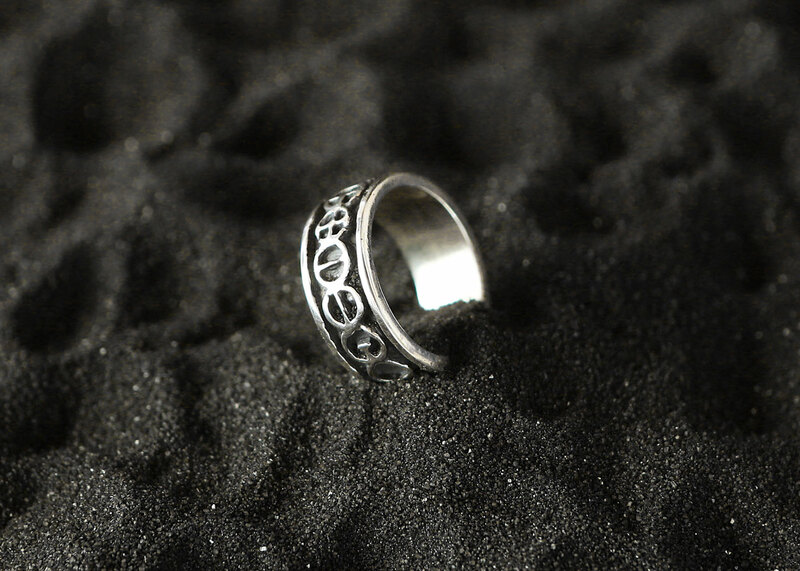 This ring is for those who are seeking to “climb the ladder” all the way to the “realms of the gods”, to gain the widest possible perspective of Reality between the “Above” and the “Below”, between the Polar Extremes of the Creation Continuum, between the unknowable UN-Created Spirit and its Philosophical Mirror: The Ultimate Fixed and Embodied Perfection. 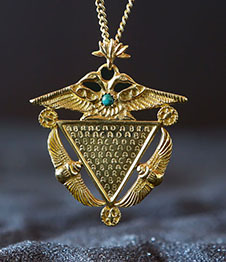 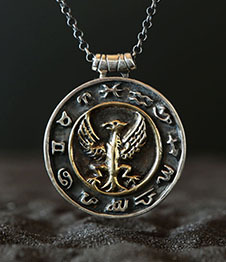 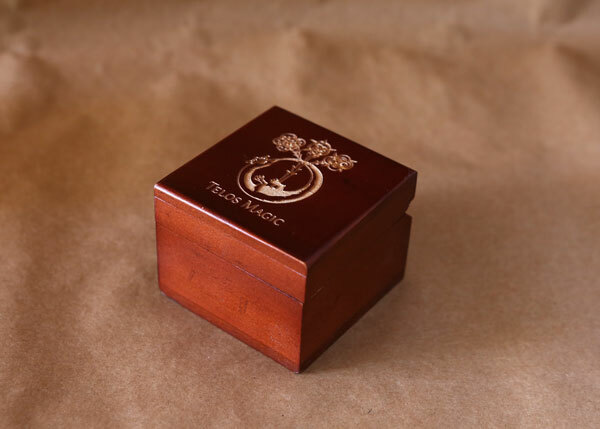 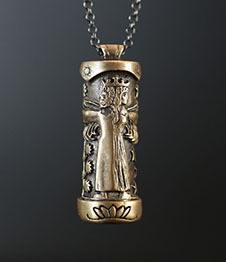 This unique piece of hand-crafted jewelry is especially suited for those who are searching for the “Philosopher's Stone”, the legendary Substance which will purify, dissolve and re-crystalize them to become reborn as First Beings within the timelessness of Eternity. 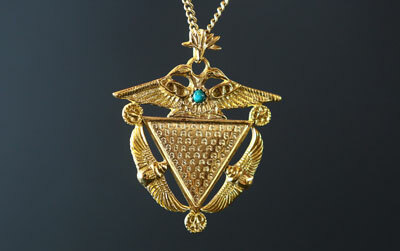 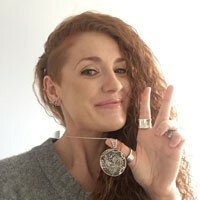 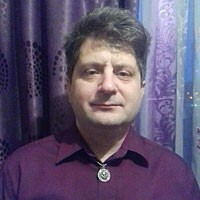 Wearing “The Golden Chain” will help you feel and KNOW that All Creation is connected, living your life with unwavering trust in the Ultimate Perfection of the UN-Knowable Spirit, our own glorious destiny.